Fast2cart is most trusted Online Supermarket Store in Patna offering best online grocery shopping facilities for their users. We are offering best rates and hassle-free experience with options of paying through Online Payment or Cash on Delivery (COD) with free home delivery on selected products. We accept and deliver orders in localities covering all pin codes of Patna, Bihar. We know that grocery shopping delivery matters a lot, So we always deliver your items in a given TAT after order confirmation. Get the guaranteed best online shopping experience every time with Fast2cart. Fast2cart is one of the leading brand in Online grocery shopping in Patna. We are offering online Home Delivery Groceries in Patna on more than 10000+ Products. Now no more standing in queues, carrying heavy bags and searching for parking! Get started with online grocery shopping at leading online grocery store in Patna. Choose from available wide range of items in every groceries category; exclusively help you to find the best quality products on affordable prices.we also offer grocery coupons to get some discounts on grocery shopping. You can choose your grocery list items with our different categories for Pulses, Rice, Oil, Milk, Personal Care, Household supplies, Baby Care, Beverages. Fast2cart is an online grocery Shopping store with wide range of products which gives you an easy way to buy grocery online in Patna.With wide range of brands in our grocery category you will get everything you are searching for. From fresh fruits and vegetables, rice and Daals, spices and seasonings to packaged bread, bakery and dairy products online.We have everything with us to save your precious time and money. 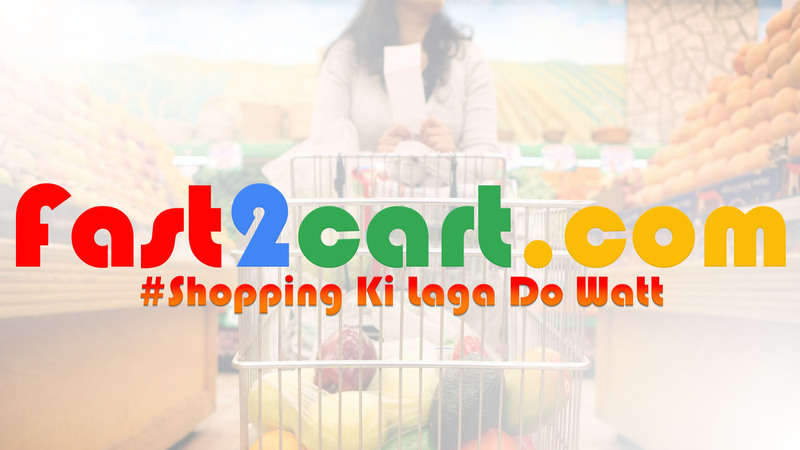 Now shop online at Fast2cart for Online Grocery Items in Patna Bihar India. We deal mostly with flowers and Choclates and both of these are classic romantic gifts to induce more love and romance in your life. To aid you more, we have included many other romantic gifts so that you can have real fun in this season of love and romance. Even when you are away from your darling, you can send Valentine gifts online just with a few clicks. As we cater to all over Patna and abroad, we would be the perfect carrier that you can choose over many. Our specialty of free shipping, same day delivery, midnight delivery, express delivery, and fixed time delivery would further help you in this gifting process. We have been in this business for more than two decades and we understand the pulse of customers really well. Because we don’t lag in our proper market research based on consumer choice. That’s why you would see the ravishing red rose bouquet along with chocolates, teddy bears, and cute cupcakes in a hamper. This would be the genuine Valentine’s gifts for His/Her. Have a love filled season with your most special person and enjoy the Valentine’s air with our lovely gifts. With the aim to wow our customers and delivering smiles, we have added a little something that goes into making every 'Delivery' special. We thus deliver Gifts or Grocery or Stationery Flower basket and other items at the doorsteps of your loved ones with lightning speed in the shortest possible time - as fast as 3 hours of ordering. This helps us deliver the flowers fresh while we are able to exceed the expectations of our customers who always want to surprise their loved ones and Fast2cart does the best, every time whether it delivers a bouquet of roses or a flower arrangement of exotic flowers. If you are planning to order flowers, Gifts, Stationery, Grocery, online and you want the same day delivery or looking for online delivery in Patna, Fast2cart is the ideal choice. Celebrating happy times by delivering fresh flowers & fabulous gifts to your loved ones is what we at Fast2cart is known for. Along with the widest distribution network, our strong physical & online presence makes us the best choice to send flowers & gifts for deliveries across Patna. The remarkable distribution network and the sheer number of retail stores are something no other online florist and gift delivery service in Patna has, and this is one big factor that differentiates us from the competition. Same is the biggest reason behind the quality of service and consistency of service delivery across Patna and abroad, thus making Fast2cart the largest floral and gifting brand trusted by 1 Lakh happy customers across Patna and abroad. Our master florists & gift experts have quite brilliantly concocted love and emotions together to roll out the best of gifts for all gifting occasions. Roses are the top selling cut flowers at Fast2cart like the way it happens across the world because roses are the most popular among flowers. We deliver a wide variety of cut flowers besides roses viz., Lilies (second most popular flower at Fast2cart after roses), Carnations, Orchids, Gerberas, Daisies, and even such other seasonal cut flowers & imported cut flowers like Tulips. Fast2cart delivers all cut flowers that our customers want to send their dear ones. All the fresh cut flowers - whether it be roses, lilies, carnations or other flowers, Fast2cart always delivers those flowers, fresh to the customers in the form and design that they request. We thus have the cut flowers in wide collection of forms and designs including bouquets & bunches, flower arrangements, etc. When it comes to flower bouquets, they are available in different designs & wrappings including cello & colorful paper wrappings. At Fast2cart, we discourage people from ordering cello wrapped bouquets because they are not environment-friendly. When it comes to flower arrangements, they are available as vase arrangements, basket arrangements potted arrangements or boxed arrangements while each of these containers also are available in wide variety of colors & designs to suit varied requirements of our customers.